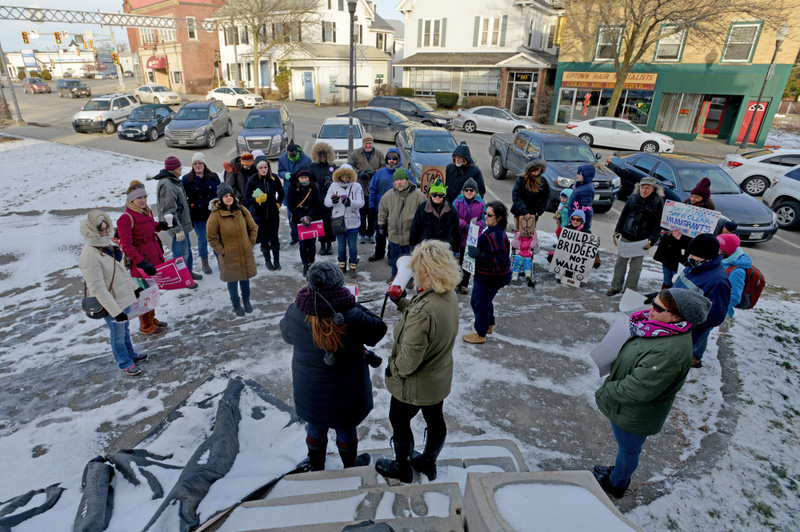 About 35 people from across the state gathered in the cold to rally and march for social change, including a wide range of interests. 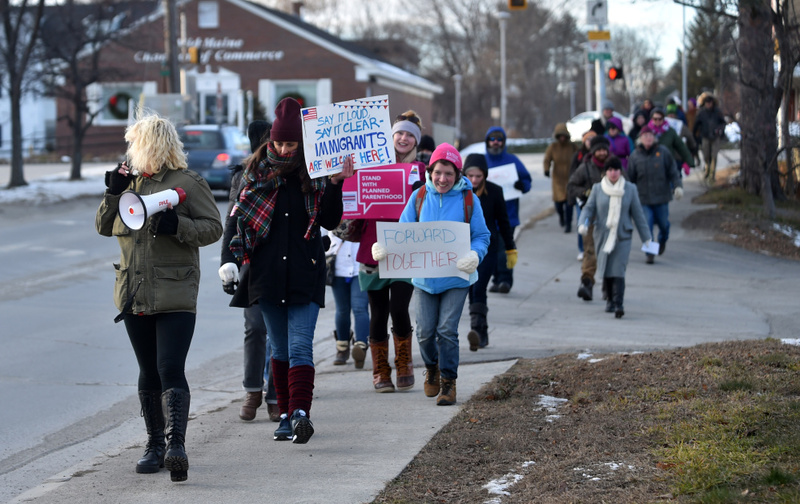 WATERVILLE — When Mindy Bergeron-Lawrence along with a few other women decided to organize a rally and march in the Waterville area after the recent political turmoil, they decided to invite as many different organizations as possible. 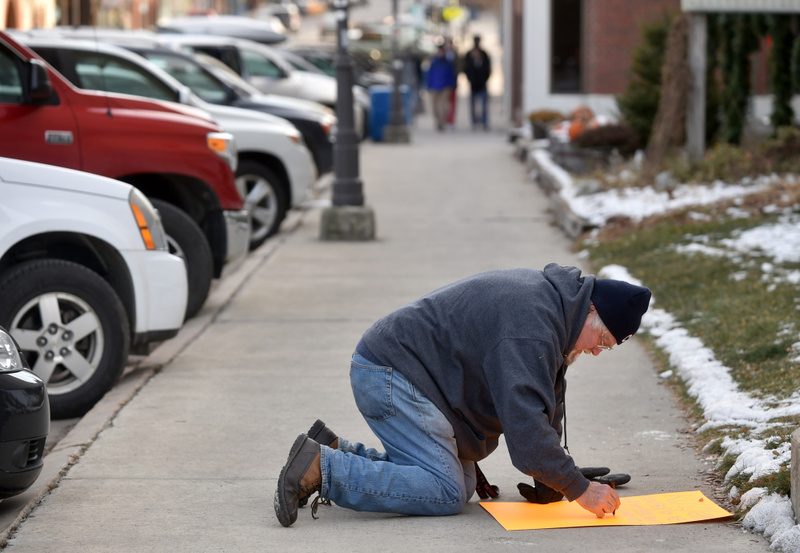 The result was about 35 people gathered in front of Post Office Square at 2 p.m. in 20-degree weather who represented not only a wide geographical range but also a wide range of organizations and interests. There were people from Lewiston, Bangor, Portland, Vassalboro and Winslow. 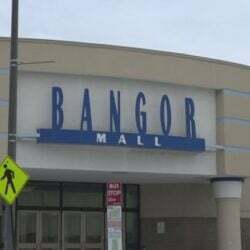 There were people representing Planned Parenthood, where Bergeron-Lawrence does volunteer work, the Mid Coast Queer Collective, the Bangor Racial and Economic Justice Coalition, Hardy Girls Healthy Women and the Unitarian Universalist Church. One attendee, Alianne Harper, director and co-founder the Mid Coast Queer Collective, spoke about how unique the rally was. Harper said it’s not often that people provide a variety of organizations a platform to come speak, network and share their information with others. Bergeron-Lawrence said she was inspired by Wendy Davis, a former democratic Texas senator who attracted national attention when she held a more than 10-hour long filibuster on the state senate floor in 2013 to block a bill that would have further restricted abortion regulations in Texas. When she saw Davis filibustering for hours, Bergeron-Lawrence said it made her ask herself what she was doing, and it also gave her hope. 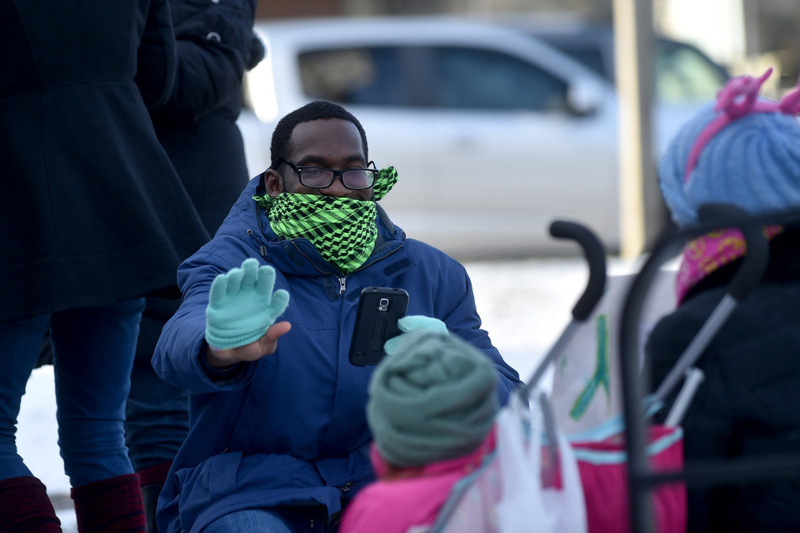 The rally and march was a “peaceful coming together” after an election that left many people “feeling shrouded in a little darkness,” said Aubrey Trout, director of communications for Forward Together. 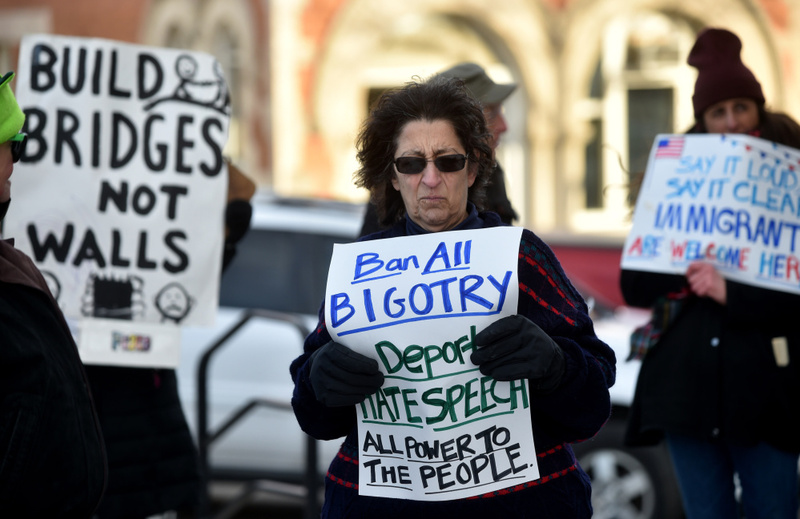 The rally stood in solidarity with a wide range of causes, Trout said, including LGBTQ rights, the Black Lives Matter movement, gun control, environmental issues and Planned Parenthood. Emily Magner, who works for Planned Parenthood in Portland, spoke about human rights and how that related to the issues at hand today. 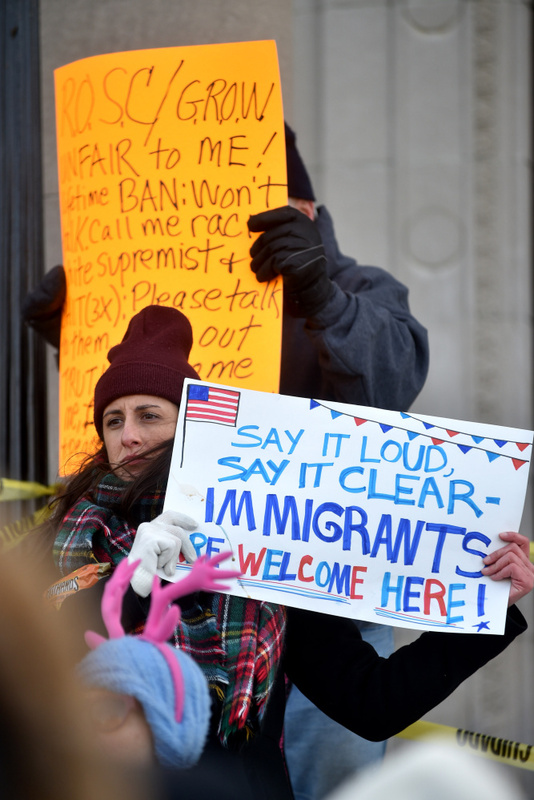 “Sixty-eight years ago on this day, the United Nations General Assembly adopted the Universal Declaration of Human Rights,” Magner said. Now, Dec. 10 is known an International Human Rights Day. Rita Moran, chairwoman of the Kennebec County Democrats, also spoke to the group. However, Moran pointed out that on a state a local level, democrats have been winning. “We took a senate seat that has been red for 10 years,” she said.